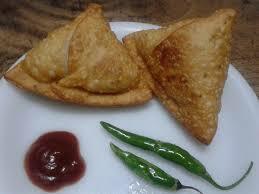 I totally had a few samosas for breakfast yesterday and they were glorious. I wish the chilies had been salted but everything cant be perfect. Still cheating a little I was able to keep my calories under. I think what I like about the one meal a day theory is the protein shakes have a locked calorie count. Easy to follow. Bam this many calories. So I drink that and drink it again I know how many calories I have had that day. Then for dinner unless I go to a buffet it is pretty hard for me to blow through the rest of my calories for the day. I also feel full. I have energy. Actually my energy the last few days has been great. No mid day coma. I suppose this is how those premade diet meals are supposed to work as well. I mean for the calories. You have the locked calorie amount and then you don’t worry but those things taste nasty and I also don’t think they exist in India so all for the best. Plus those meals wouldn’t work like the fasting does which I kind of enjoy. Did I mention I am drinking a ton of water. I am getting in way more water which is awesome. I love water. Its funny I am a creature of habit and like the same things even though I try new things all the time but once I find something I like I tend to always order it. So this habit lets me drink the same drink every day and I never really get tired of it. I think that’s why a lot of people cant stick with it they don’t like the same thing day in and day out. I really don’t mind. diI think my scale is crazy or needs new batteries. None the less I will take the weight I weighed in at this morning consistently which is 243. It is encouraging to keep at this then.